Made with completely mannual process. We offer an unique range of jute wine bags. Our range of jute wine bags are useful for holding wine bottles as they are designed in such a way that they can contain different shapes of wine bottles easily. Being convenient to carry, available in different sizes, our jute wine bags can be customized as per clients preferences. 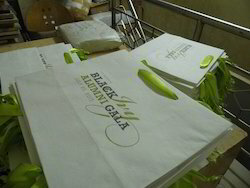 We have reached the pinnacle of success and earned a reputed name by providing high quality range of Paper Wine Bag. Color: Yellow, Orange, Grey, etc. 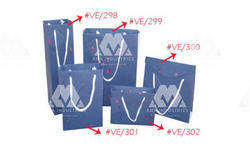 We are an accomplished organization which has gained name and fame in providing Handmade Gift Paper Bag to the customers.